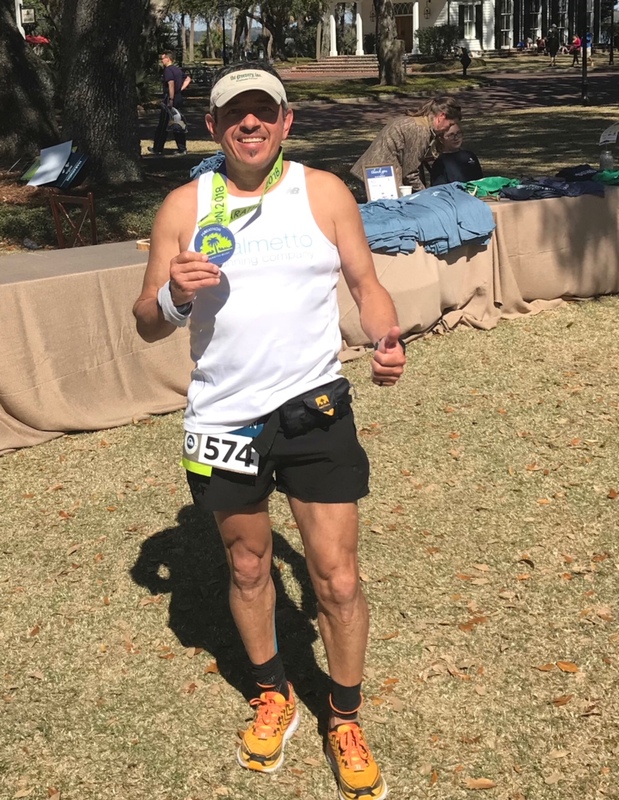 One of our clients, Ron Vargas, recently ran the Palmetto Bluff Marathon. We're so happy that he finished the marathon and ran a good race! We helped him with some issues and guided him in the right direction during his training. CONGRATULATIONS, RON! "I want to thank you & Jen to help get ready and finish the full marathon! My time was 4:25 and yes, was rough last 3 miles, but I did follow your advice that helped get through the entire race. Again, thanks." If you are a runner looking for training assistance or help with therapeutic needs, please reach out to us at the Wellness Institute. Our skilled therapists will help you heal and provide tips and at-home exercises to assist in your marathon training. Many of our therapists are athletes, so their experience is beneficial for fellow runners! Call 843-547-4058 to make an appointment for a free screening.